It has taken me a bit of time to get back into the travelling mindset. Remembering just how foreign everything suddenly feels again. 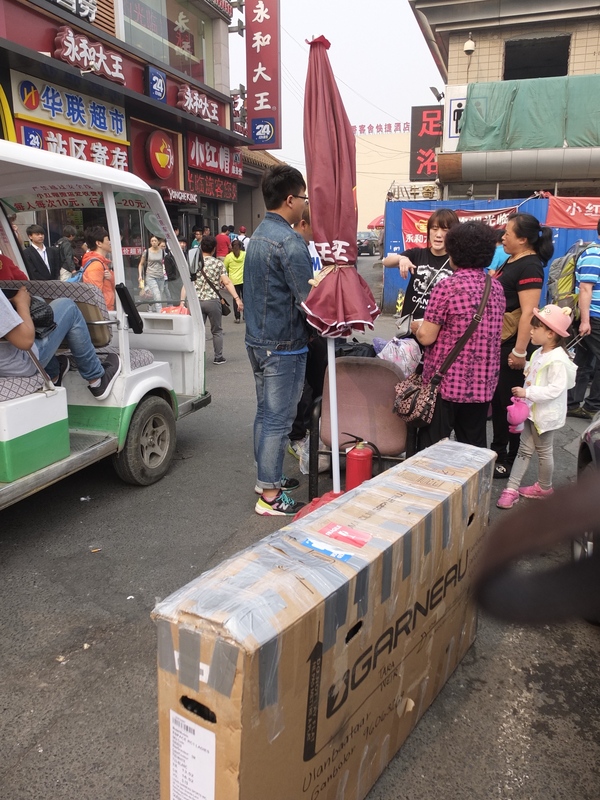 The language barrier was of course the biggest challenge – especially in China. Even the smallest of tasks, like ordering a meal, takes more mental energy than usual. The best way to confront your new world is to have a sense of humour about it while making every effort to communicate. My Warm Showers host, Ray, helped make my transition so much easier. 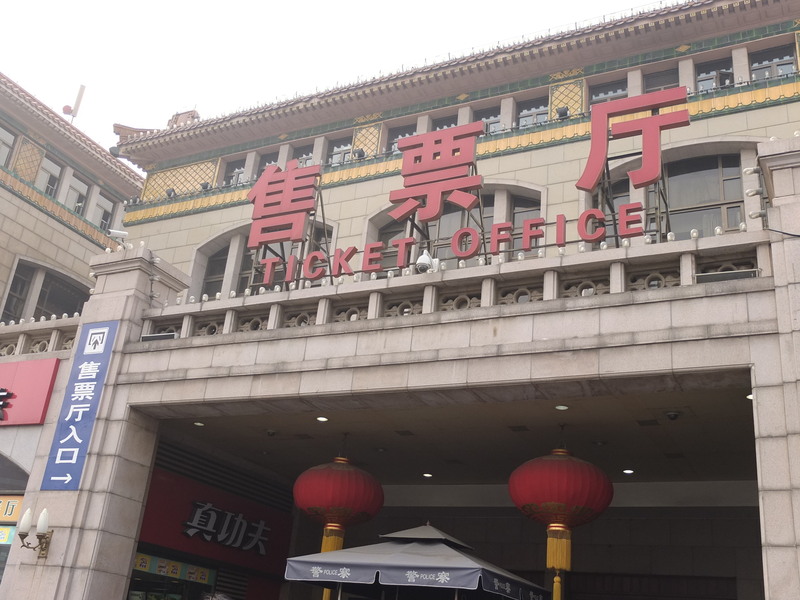 I originally had planned to stay only 2 days in Beijing and to take the Trans Mongolian train to Ulaanbaatar. In order to bring a bicycle on the train, it has to be checked into customs the day before departure. Ray took me and my bike to Beijing Central and helped me navigate through the chaos. If I was on my own it would have taken me hours to get an answer, due to my lack of Mandarin. He told me to wait with my bike and he disappeared into the swarms of people. He came back with bad news. My bike could not be checked in because it was a Chinese holiday and customs was closed. Also, it was impossible to take it on the train with me the same day. I was frustrated to say the least. The next train wasn’t leaving until Wednesday. The only other option was to fly. So I took it. I may have missed an interesting trip, but I didn’t come out here to ride trains. So this meant an extra day to explore Beijing. When I am travelling, I generally try to spend as little time as possible in the cities. Though they offer many comforts for the touring cyclist, I find them overwhelming. 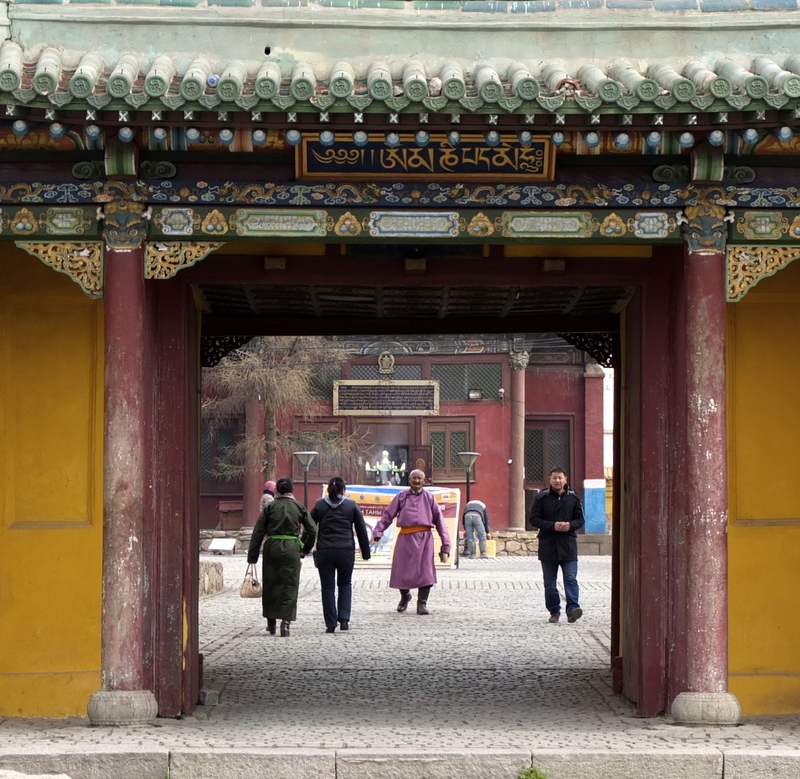 Beijing has lots to offer as a city, but it is a place I couldn’t spend too much time in. Overall I found it a bit too chaotic. Also, the air pollution is a real problem. 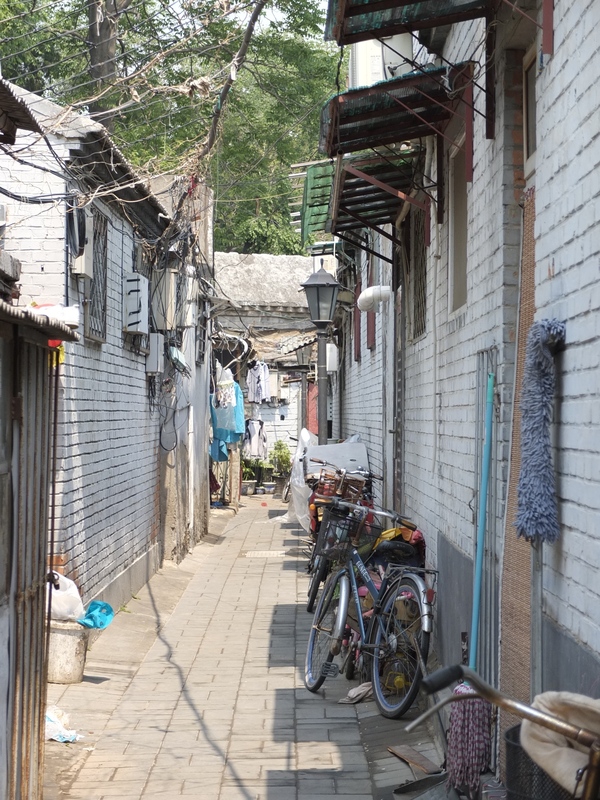 But, tucked away from the insane traffic and incessant honking are little hidden communities called hutongs. 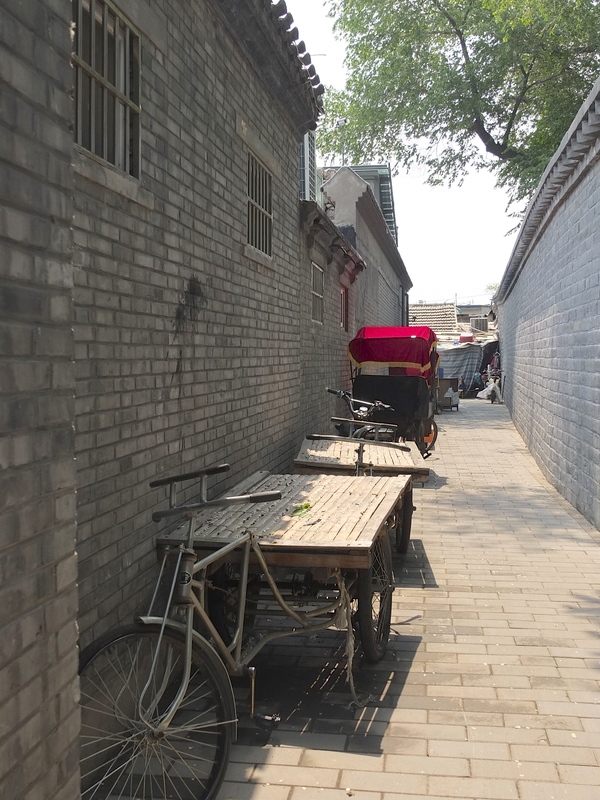 These are the old neighbourhoods of Beijing. 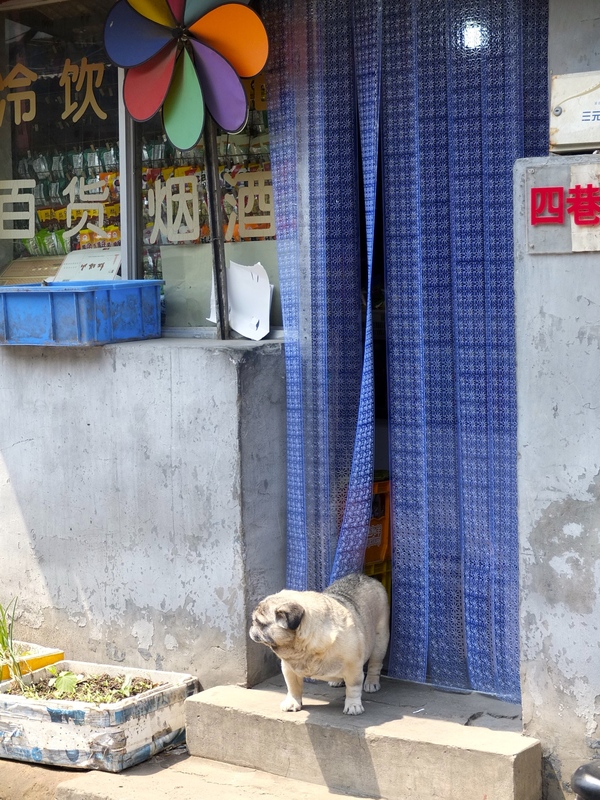 When you walk down the narrow alleyways past tiny produce shops, clotheslines and old men sitting on tiny stools, the noise disappears and time stands still. 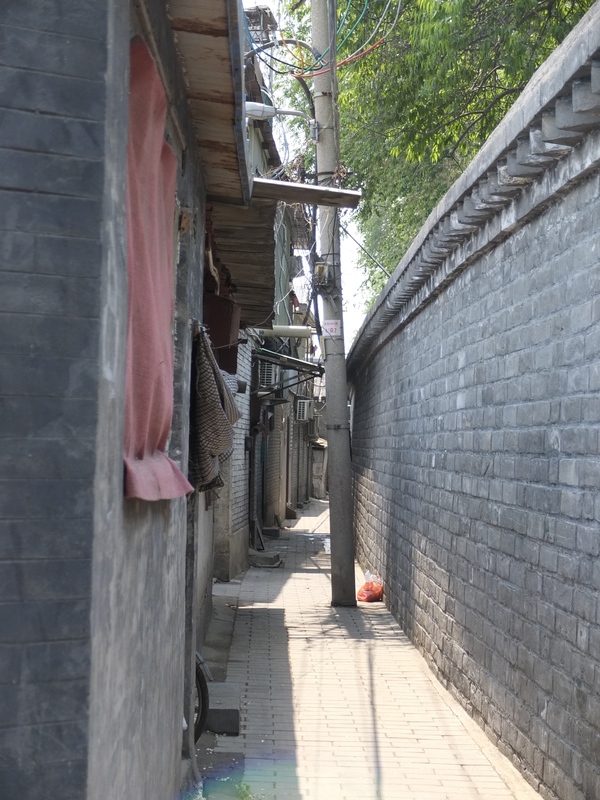 For me, strolling through the hutongs was the highlight of Beijing. The city also has excellent cycling infrastructure with super wide lanes – some almost big enough for 2 cars side by side. I am a pretty lazy tourist, so I didn’t do much in the way of sightseeing. 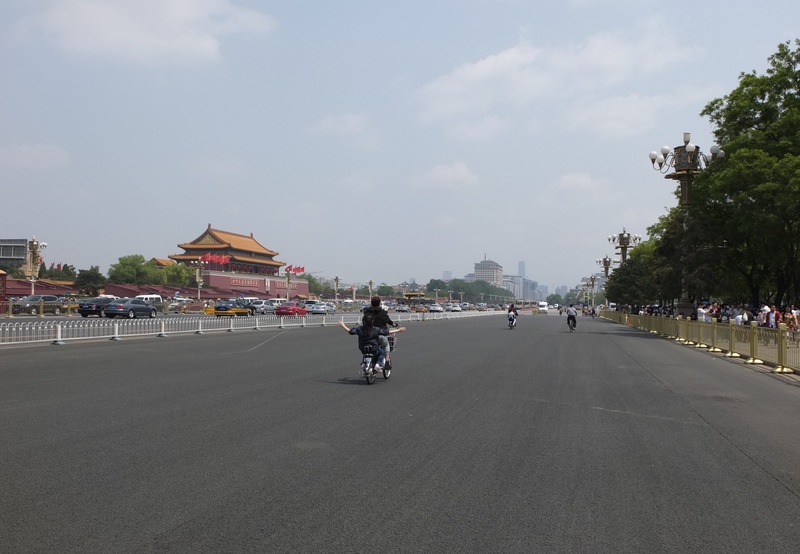 I did cycle by Tiananmen Square and Mao Zedong’s mausoleum. I spent a good amount of my time in Beijing relaxing and recovering from jet lag. I really enjoyed hanging out in Ray’s apartment, which was in a very nice neighbourhood called Sanlitun in Beijing. He took me out for baoize (steamed buns) and delicious handmade noodles – 2 foods I enjoyed many times during my first bicycle tour in China. Ray had also cycled a few of my planned routes – Pamir Highway and Karakoram highway and had lots of good tips to share. He told me that he also had a Polish guest that had cycled Mongolia. Apparently he had to push his bike through 200km of sand. I am hoping with my research that I will avoid that kind of insanity. I was getting pretty excited about cycling the country. After 3 days in Beijing, I I boarded the plan for Ulaanbaatar, where I was meeting my next host, Froit from Holland and his Mongolian wife Bolora. 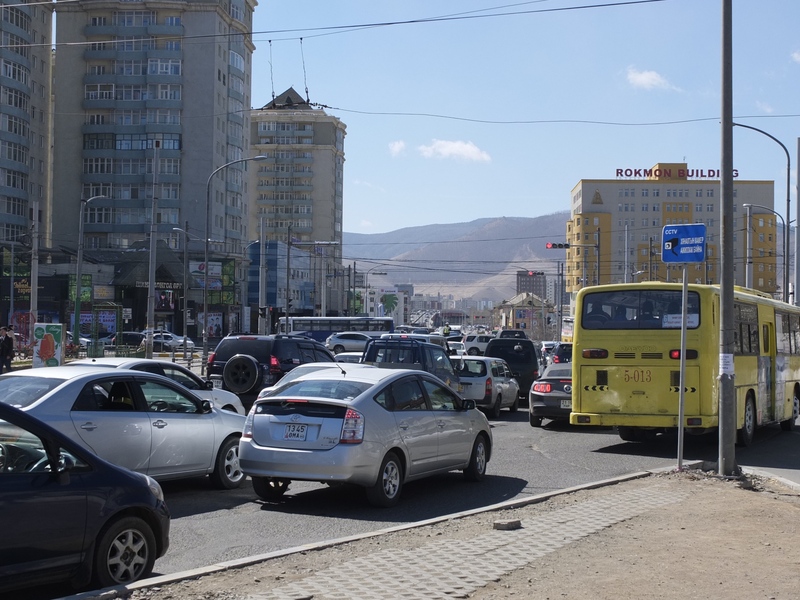 Ulaanbaatar is another crazy city, with equally insane traffic. 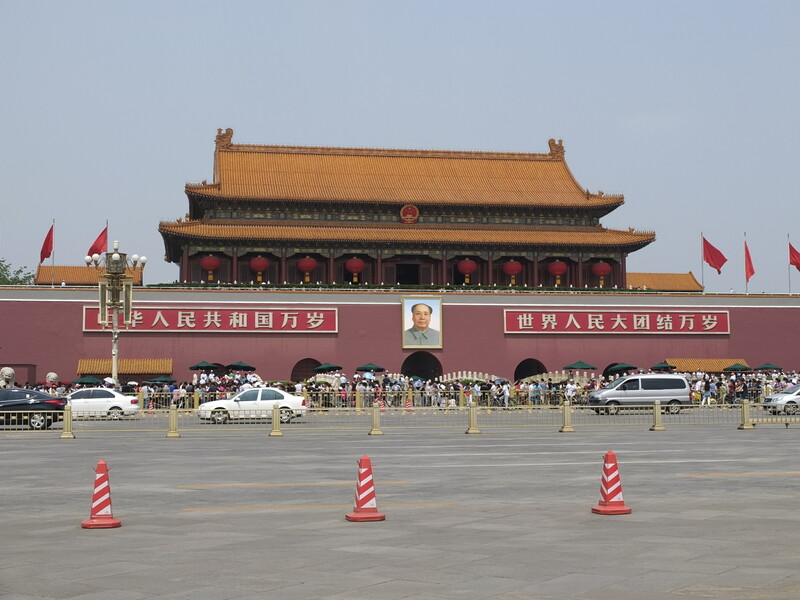 The exterior is less modern than Beijing and the infrastructure is bursting at the seams. 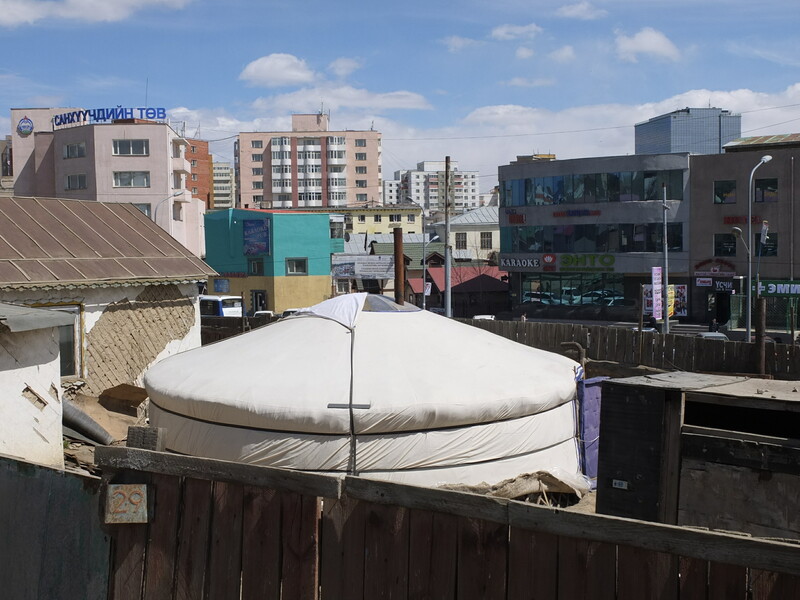 There are 3 million people living in Mongolia, with 1.5 million in Ulaanbaatar. According to Froit, itis a city designed for half the population that it currently sustains. Cycling in the city was quite the experience and sometimes there was barely enough room for my bike to squeeze through the gridlock. 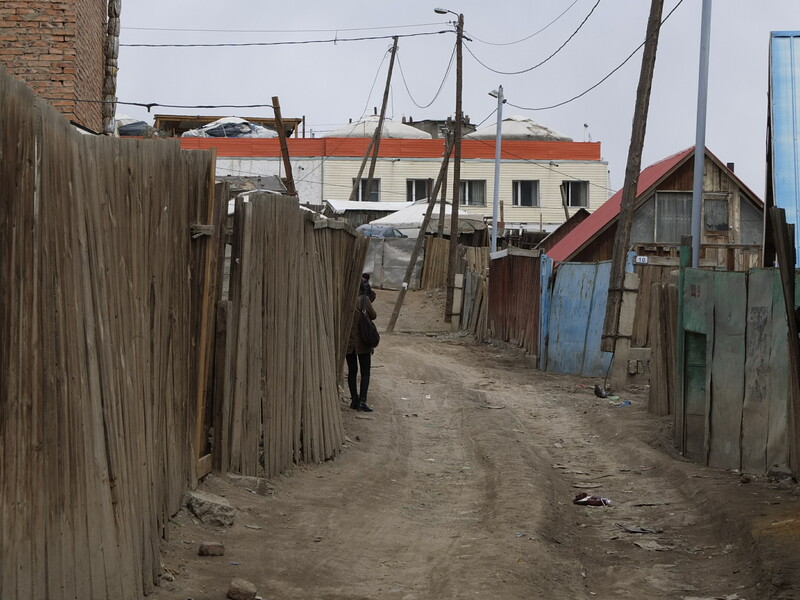 Ulaanbaatar, like all cities is also not without its social problems. Mongolia is a nomadic country, with its traditional peoples living in gers (yurt-like structures) dotted across the immense, unforgiving landscape. With factors like climate change and desertification of the steppe, their way of life is becoming much harder to sustain. As a result, these people are being forced into the city. Thrown into a alien world, alcohol abuse unfortunately becomes the coping mechanism and it is a country-wide problem. Despite the chaos, Ulaanbaatar has some interesting character. I really like the area where Froit and Bolero lived – in one of the many ger districts around the city. 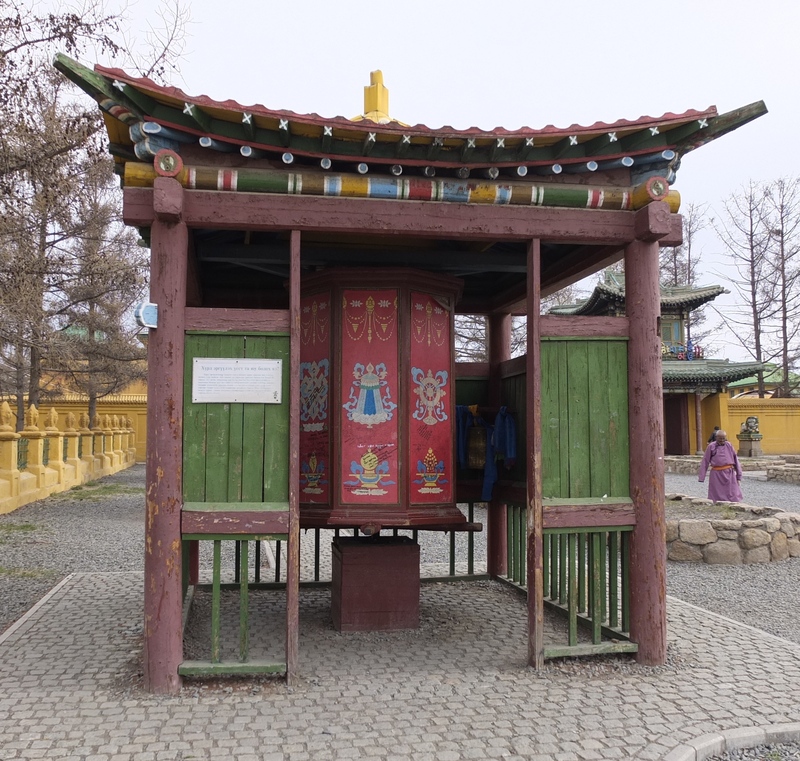 On my last day in Ulaanbaatar, I got up early to see the morning prayers at Gandan Monastery.It was a hypnotic experience to listen to the monks chanting for over an hour. It brought me back to my travels in Tibet 4 years ago. When I wasn’t running around getting a visa extension or supplies for my tour, I was well taken care of by Froit and Bolora – I will miss them a lot when I leave! After a week of travel in the cities, I am looking forward to cycling into the emptiness of Mongolia. This is what I came to this country for – the remoteness and the silence. The next update will be a cycling one and I will probably have a lot more photos (I don’t usually take a lot in the cities) I leave tomorrow. I am nervous and excited about what lies ahead.